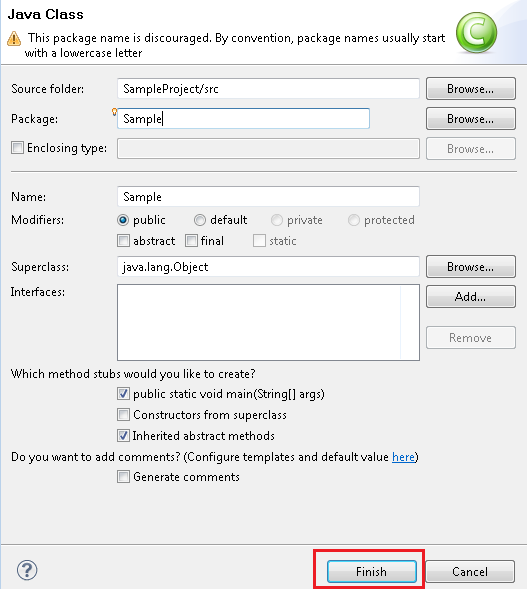 Before reading this post, first you have to setup a JAVA project in your eclipse where you can copy the script explained below and see the actual execution of it. I have already explained the project setup steps in my previous post. If you miss that post, click here. First create a new class in a JAVA project where you have to write the Selenium Webdriver code to automate above mentioned scenario. Once you create a project in Eclipse, you will see a folder called ‘src’ in it. Right click on ‘src’ folder, select ‘New’ and then click on ‘class’. 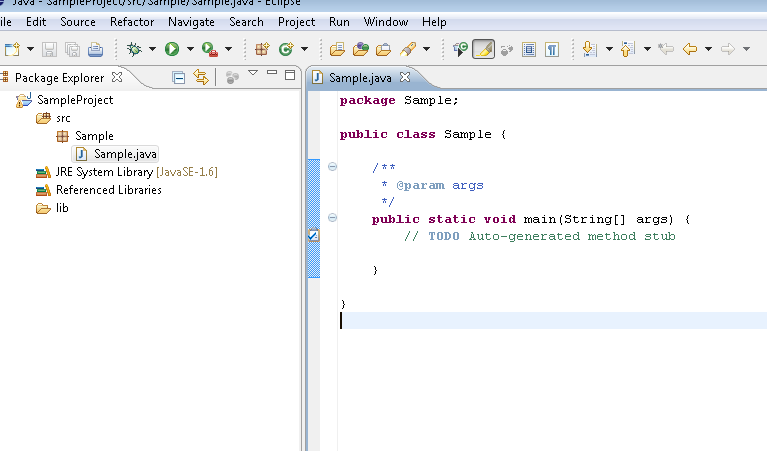 It will open a popup, where you have to input required details like Class Name, Package Name etc. Once you done with details, click on ‘Finish’ button. Now, Just copy the below code in your newly create class. 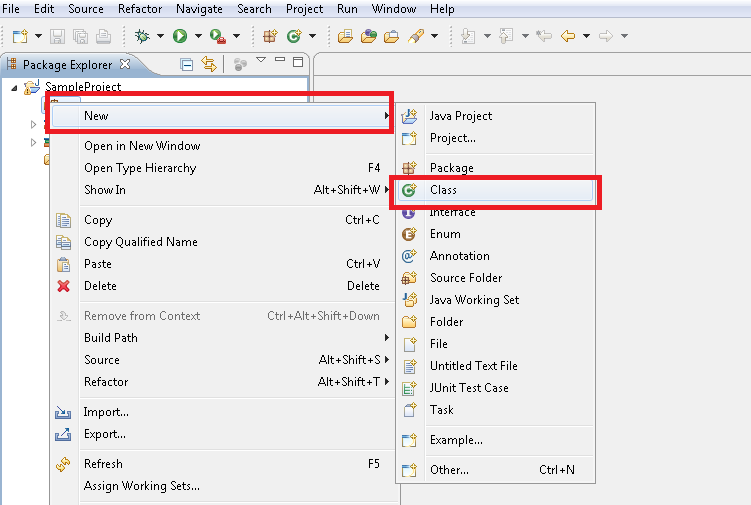 In order execute above script, just right click on Java file > Run As > Java Application. Kindly refer below screen shot in case you have any confusion. 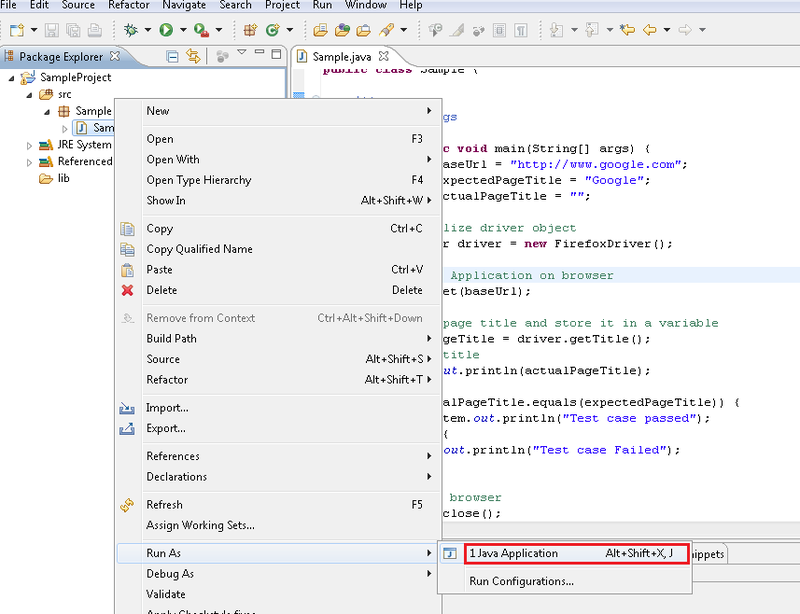 As soon as you click on ‘Java Application’ option, the execution will be started and code output would be printed in Console.